Sportsmen and women are aware of the importance of stretching because it increases the blood circulation to the area as well as the joints, ligaments and tendons. To ease this tension sports massage is applied. This in turn will increase the flow of the fluid to penetrate the deeper tissues, subsequently nourishing the area with blood which is rich in oxygen, helping reduce tension. Swedish Massage techniques include circular pressure/movements applied by the hands and palms, firm kneading, percussion-like tapping, bending and stretching. Before and during your Swedish Massage session, communication is encouraged with your professional massage therapist so that your massage is customized to your specific needs. Reflexology activates the healing power of the body. The feet are a mirror of the body. 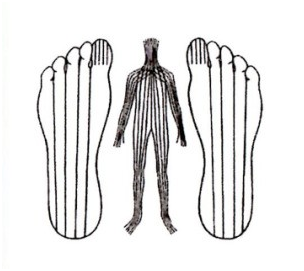 There are 10 zones which run the length of the body from head to toe, 5 on each side of the body and 5 on each foot. 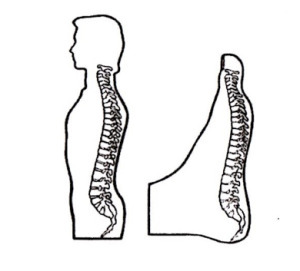 If the client has pain in the spine, we can work on the appropriate zone by applying pressure with the thumb and fingers when crystal deposits can be identified. We can not only identify the area of pain, but can also use reflexology to reduce the level of pain and stress, leaving the client with peace of mind. Reiki Reiki is a Japanese word to describe the ‘Universal Life Force’. It is a therapy in which the practitioner promotes the natural healing process of the body. It was re-discovered a century ago by Dr Mikao Usui, who researched into transitional forms of healing and looked at sacred Buddhist texts. Reiki energy is transmitted through the hands to the receiver. Treatments involve placing the hands on various parts of the body and can be experienced as warmth, heat, tingling or a sense of relaxation or wellbeing. Reiki works on all levels of mind, body and spirit. Not only does this gently hands on holistic therapy aid deep relaxation, it also helps to de-toxify, as well as, relieve you from stress and fatigue. It is guaranteed to give you a sense of inner calm. Call now to book an Reiki Treatment on 07568743360 Aromatherapy How does Aromatherapy work? Aromatherapy is a system of healing which involves the use of essential oils distilled from various plants. We use a selection of different oils for the treatment. Lavender is one of the most popular oils in aromatherapy and is distilled from the flowering tops of plants. It is one of the most versatile oils and is good for burns, headaches, insomnia, circulation and aids relaxation. As we inhale the essential oils through the nose, the olfactory nerves are stimulated sending impulses to the brain which in turn sends messages to the body, i.e. peppermint is stimulating while lavender is relaxing. The essences also enter the body through the skin by absorption. It’s like drinking herbal tea but in this instance the oils are applied to the surface of the skin then enters the pores. Choose from, De-stress,Muscle Relaxer, Immune Booster, or Body Tonner, Call now to book an Aromatherapy Massage on 07568743360 FOR ACHES & PAINS:- Aromatherapy promotes circulation, helps aid tissue recovery and decreases pain. Specifically designed to promote circulation, this warming blend of Aromatherapy includes clove, sweet birch, rosemary and cypress helps aid tissue recovery after physical exertion. Additionally, the unique combination of aromatics are traditionally used to decrease pain in muscles and joints.